Plaintiffs who have filed product liability lawsuits against the manufacturers of popular proton pump inhibitors have requested that the judge schedule trial dates. The lawsuits were filed after plaintiffs claimed they sustained complications, including kidney injuries, after taking PPIs like Nexium, Prilosec, Prevacid, and Protonix. About 4,200 lawsuits have been filed against the manufacturers to date. On April 27, the counsel for the plaintiffs submitted a proposal to U.S. District Judge Claire C. Cecchi of the District of New Jersey. She is presiding over the pretrial proceedings and coordinated discovery for the multidistrict litigation (MDL). The proposal requested that Judge Cecchi establish a bellwether program to select a handful of lawsuits that are representative of the thousands filed against the defendants. These cases would be slated to go to trial ahead of the rest, possibly as early as February 2020. Although these lawsuits are joined together in an MDL, the outcome of one is not binding on any of the others. The bellwether trials are the first group of lawsuits to be heard in court. They serve as a barometer to allow all involved parties to assess how juries tend to respond to witness testimony and physical evidence. In response to the plaintiffs’ proposal, the defendants filed a proposal that requested that the judge bifurcate the proceedings. They proposed that individual cases be set aside, and in the meantime, that the court respond to the motions to dismiss. The motions to dismiss are based on federal preemption and general causation. An alternative proposal made by the defendants was to postpone any individual case proceedings, but to allow broad discovery actions that were case-specific. Proton pump inhibitors like Nexium and Prilosec work by inhibiting the actions of an enzyme responsible for producing stomach acid. By lowering levels of stomach acid, these drugs are intended to reduce the risk of gastrointestinal ulcers and allow existing ulcers to heal. PPIs are commonly prescribed for patients diagnosed with ulcers, NSAID-associated ulcers, gastroesophageal reflux disease (GERD), and Zollinger-Ellison syndrome. Like all medications, PPIs have the potential for complications, including an increased risk of heart attacks, pancreatitis, and suppressed liver function. However, the plaintiffs who have filed lawsuits against PPI manufacturers claim that the defendants never gave them adequate warnings about the potential for serious kidney injuries. 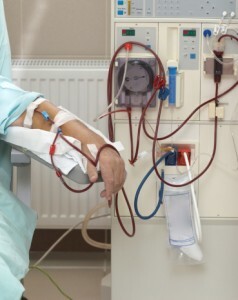 Specifically, recent research suggests that these drugs can increase the risk of: Acute interstitial nephritis (sudden kidney inflammation), acute kidney injury, chronic kidney disease, end-stage kidney failure, the need for ongoing dialysis treatment, and the need for kidney transplantation. A 2017 study published in the JAMA Internal Medicine journal suggested that patients who took PPIs were 50% more likely to be diagnosed with chronic kidney disease than patients who did not use the drugs. The plaintiffs in Prilosec and Nexium lawsuits are seeking compensation for their losses, including past and future medical expenses, lost wages, loss of enjoyment of life, and pain and suffering.